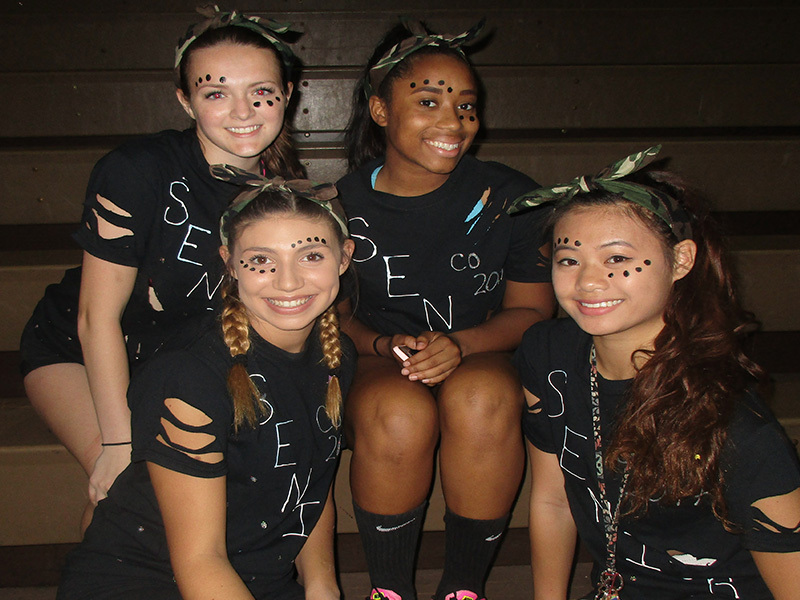 Senior girls get ready to rock the juniors before the Wacky Races. Star Status interviewed Ms. Lauren Flaherty, who is the Student Government Advisor, regarding the planning that goes into Spirit Week. 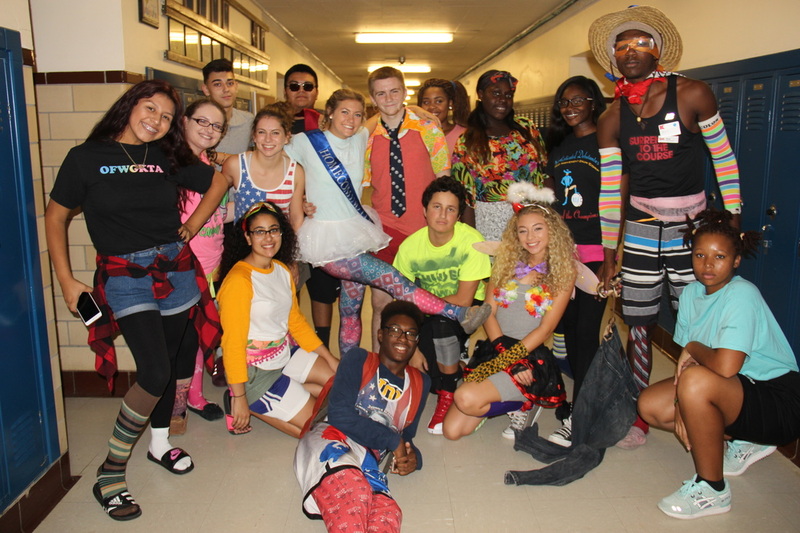 Star Status: How did you originally pick the ideas and concepts for spirit week? Ms. Flaherty: The student government officials choose the theme days for spirit week. Wacky Races is an annual event. The talent show was new this year, due to the senior classes fundraising needs for post prom. Star Status: ​What is your favorite day from spirit week and why? Ms. Flaherty: My favorite day is Friday - school spirit day, because I love seeing all the blue and gold. There is a lot of Northstar pride. Star Status: What themes or games do you come up with for wacky races and why? Ms. Flaherty: Some games have been played in the past; students really enjoy them, so we keep them around. We added some new ones to switch things up. We found new games on YouTube. Star Status: What is your favorite activity out of the talent show or wacky races and why? Ms. Flaherty: I like musical chairs because people get really competitive. At the show i just like the support from the other contestants and the respect they show for others' talents. Star Status: What do you most enjoy about spirit week as a whole? Ms. Flaherty: I especially like it when a student who is reserved and who is not as involved as others participates. The week creates a sense of community; it’s nice. Star Status: What student’s costume or outfit did you like the best this week and why? Ms. Flaherty: I loved, loved, loved Wyatt Rue’s T-rex costume. I also love seeing fellow English department members (and the staff as a whole) dress up and support what the student government is trying to promote.